According to Wikipedia, “Microsoft Access is a database management system (DBMS) from Microsoft that combines the relational Microsoft Jet Database Engine with a graphical user interface and software-development tools. It is a member of the Microsoft Office suite of applications, included in the Professional and higher editions or sold separately”. ♦ Microsoft Access is a powerful desktop productivity tool that is included in Microsoft Office Suite. Access is a relational database. It is the entry level database from Microsoft. It is meant to be used either by an individual on your local drive or shared on a network drive. ♦ Access is much easier to use than the other Microsoft databases (SQL Server, Azure, Power BI). Access has a powerful and robust graphical user interface (GUI) with its forms and reports. This interface allows you to create a true point-and-click application where even a low level staff member can run the database without knowing how to write a single query or line of code. That is the beauty of Microsoft Access. That is the power of Access and that is why so many organizations have their staff use it at work; it allows them to easily get the job done, with much less effort, in much less time, for much less money – which is a win win win. ♦ SQL Server is Microsoft’s most advanced and powerful database and it is one of the leading databases on the market. It comes in many versions, each for a specific work environment. SQL Server is used extensively in business. But SQL Server is an application to be strictly used by database programmers and developers, rather than for your typical accountant or financial analyst, as is the case with Microsoft Access. A Microsoft SQL Server back-end is often connected to a Microsoft Access front-end. Here you can leverage the incredible power of Microsoft SQL Server with the user friendly graphical user interface of Microsoft Access. This is one of the more common things we do for our clients. ♦ According to Microsoft, Microsoft Azure is an ever-expanding set of cloud services to help your organization meet your business challenges. It’s the freedom to build, manage, and deploy applications on a massive, global network using your favorite tools and frameworks. Microsoft Azure is relatively new when compared with the other Microsoft applications. Its use is increasing as the cloud becomes more acceptable. Like the other Microsoft applications, Microsoft Azure can be fully integrated and automated with Excel, SQL Server, Access, Power BI, etc. ♦ According to Microsoft, Microsoft Power BI is a suite of business analytics tools that deliver insights throughout your organization. Connect to hundreds of data sources, simplify data prep, and drive ad hoc analysis. Power BI is a powerful relational database. It produces beautiful reports, then publish them for your organization to consume on the web and across mobile devices. Everyone can create personalized dashboards with a unique, 360-degree view of their business. And scale across the enterprise, with governance and security built-in. Power BI is a new kind of relational database and it is the greatest thing out from Microsoft in a long long time. This application allows you to create a relational database accessing numerous programs used in the office. A tool like this is long over due. This is what I consider to be the most powerful Microsoft database. Its future is golden. 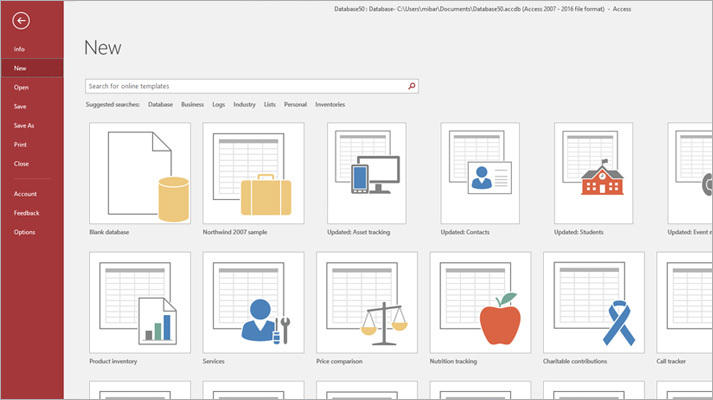 ♦ Microsoft created Microsoft Access to be fully integrated and automated with not just the Microsoft Suite of Office applications, but also with SQL Server, Azure and Power BI. This is an amazingly powerful tool, as such you can see why so many businesses, government offices, educational institutions, non-profits as well as by individuals. 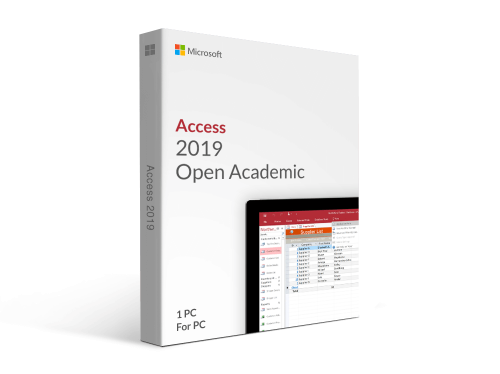 ♦ Unlike several of the other Microsoft Office Suite applications such as Excel, Word, or Outlook, there is no Mac version of Microsoft Access. Yes, that is correct, there has never been a version of Microsoft Access for the Apple Mac. 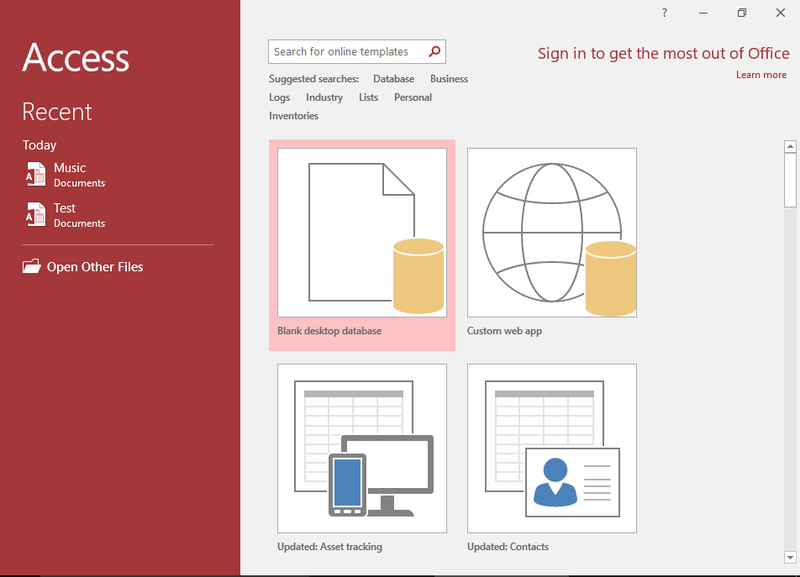 ♦ As with most software packages, Microsoft Access has gone through its series of changes, some for the good, some not so good, but Microsoft has made sure to keep the database application relative to this day. That said, if I could ask for one major change to Microsoft Access I would ask that they increase the size the database is allowed to achieve. 2 gigs just does not cut it, it has not for a very long time. Where Microsoft Access goes from here is anyone’s guess, but I do not see Microsoft as willing nor interested in making Microsoft Access into the super powerful application that it could be. Maybe someday they will change their mind, and maybe they will see how important Access is to those that work with complex detailed data. It is interesting to note two facts, one) Access released 7 years after Microsoft Excel, two) the first release of Microsoft Excel was for the Apple Mac, not the Windows PC. Use Access for an individual, stored on your local drive. Use Access for a group of individuals, multiple concurrent users, on a shared drive. Split Access into a Front-End Back-End solution. Integrate Microsoft Access with any of the other Microsoft Office applications or with any of the Microsoft databases. Create month-end reporting, financial analysis, accounting, etc. Use Access as a custom CRM. Use Access for your HR Department. Use Access to monitor investments. Access is for any type of data, a lot or even a little. Access has unlimited uses. Posted on November 5, 2018 Posted in Blog Category, Using Microsoft Applications and tagged Consulting, Excel And Access, Data, PowerPivot, Access.